1 Munnar September-November, January-March Tea Gardens, Kalari Kshetra, Top Station, Pothamedu Viewpoint, Lock Heart Gap 3-4 days would be sufficient to cover all the elements of Munnar. If you’re one of the newly married couple looking for a memorable and romantic honeymoon destination, we have you covered! Marriages may be made in heaven but the honeymoon can certainly be made sensuous and memorable here on earth itself. We have compiled an extensive list of the best honeymoon places in South India that have it all. A plethora of cascading waterfalls, lush green valleys, immaculate mountains and idyllic backwaters. Everything moment spent in the honeymoon with your partner will stand out in your life and therefore, this list of Honeymoon places in South India should be considered for your never-ending exotic romance and inevitable love. South India is actually filled with many romantic treats coming from the tranquil forests, the sizzling hills and the exquisite beaches and all of them forming the honeymoon destinations in India for the married couples. If you’re one of those people who are not very familiar with southern India, these places usually are from Andhra Pradesh, Telangana, Karnataka, Kerala and Tamil Nadu. Each of these states has hill stations and beach places with authentic infrastructure that offer sophisticated hospitality making them all, a spoiling and arousing choice for the newly married. If you are someone who is tying the knot, you should definitely consider these honeymoon places in South India as each of them is a romantic destination on its own which will lure you in one way or the other that you will actually struggle in choosing the gorgeous honeymoon place to spend with your partner. The hill station comes at the top of honeymoon places in South India because of the routine life cladding with romantic elements. Distance from Airport: 11.0 KM from Cochin International Airport. Best Time to Visit: September-November, January-March. How much Time to Spend: A 3-4 days would be sufficient to cover all the elements of Munnar. Places to Visit: Tea Gardens, Kalari Kshetra, Top Station, Pothamedu Viewpoint, Lock Heart Gap. 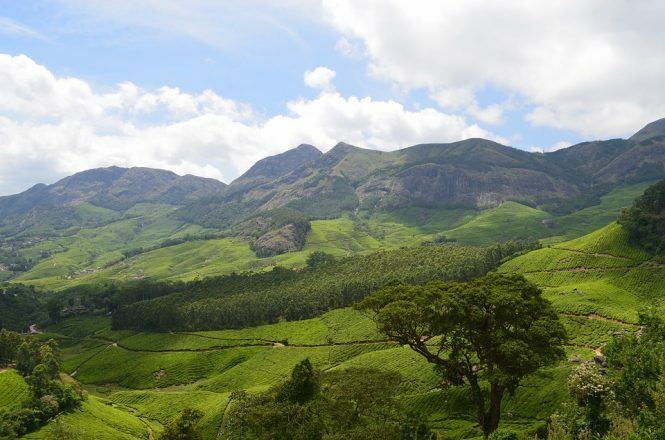 Munnar is the amusing model-town in Kerala, the God’s own Country and is actually the ideal place for a honeymoon trip. Untouched by the pollution and destruction of cities, the serene landscapes, picturesque waterfalls, placid nature trails and widespread tea gardens are all ideal locales to spend time with your partner during this special period of your lives. The perfect cure for all the post-wedding weariness, Ooty ranks high in our list of honeymoon places in South India. Distance from Airport: 88.0 KM from Coimbatore Airport. Best Time to Visit: March-June. 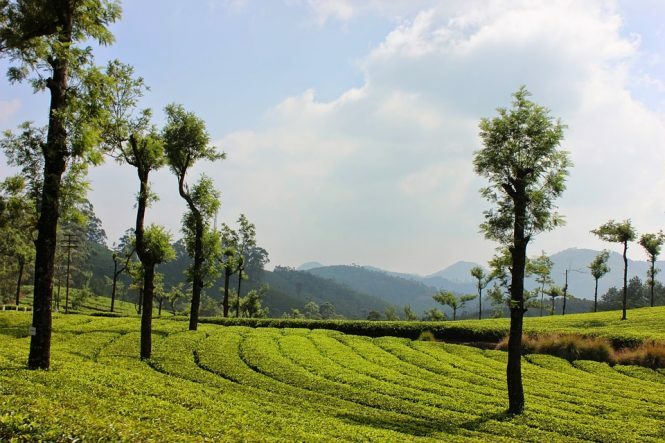 How much Time to Spend: A weekend would be perfect to spend in Ooty. Places to Visit: Nilgiri Mountain Railway, Avalanche Lake, St. Stephen’s Church, Lady Canning’s Seat and Murugan Temple. Best Places to Stay: Savoy Hotel Ooty, Sterling Ooty Fern Hill, and Hotel Lake View. Ooty is one of the cities which has lodges, cozy hotels, cottages and also many restaurants. Usually, it is flooded with honeymooners throughout the year from various parts of India and sometimes even the world. It has many adventures filled spaces, activities including parasailing, trekking, hand gliding and even angling. It also provides a unique experience and is actually a perfect place for all the couples so that they can start the journey by breaking the ice to create many memories. So, pack your back right away and get set for a trip on Ooty atleast for a long weekend soon after your marriage. Distance from Airport: 120.0 KM from Madurai Airport. How much Time to Spend: A 3-day trip along with a long drive would be sufficient. Places to Visit: Poombarai Village View, Coakers Walk, Berijam Lake and Mannavanur Lake. This retreat, one among the top honeymoon places in South India is in Tamil Nadu and is known for its scenic natural beauty. 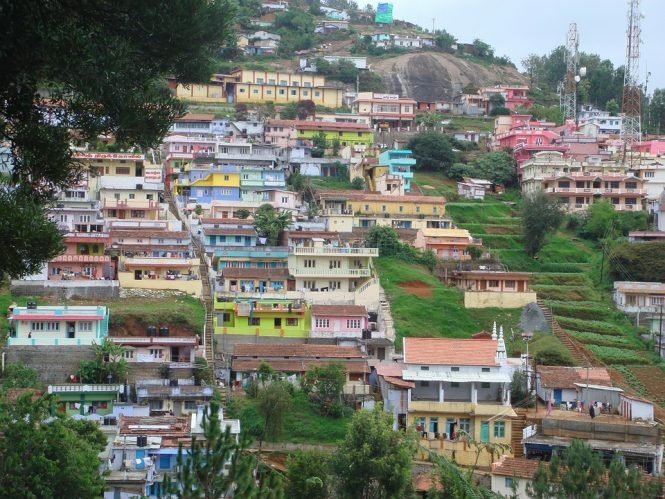 Kodaikanal has many lush green mountains, tall imposing granite hills, thickly forested valleys, waterfalls and lakes. Located around 2000 meters above MSL, the center of the town is the famous Kodaikanal Lake which is star-shaped. When here, do not forget to take a romantic boat ride in the lake with your beloved. You can even go hiking and cycling along the lake road path here. Back when the British were in India, this place was called the Scotland of India. Distance from Airport: 120.0 KM from Mangalore Airport. Best Time to Visit: October-April. How much Time to Spend: Spending 2-3 days in Coorg will allow you to explore the place. Places to Visit: Nagarhole National Park, Talakaveri, Kushalanagar and Madikeri. Best Places to Stay: Taj Madikeri Resort & Spa, Evolve Back and Parampara Resort & Spa. Coorg is one of those honeymoon places in South India which is meant for the newlyweds because of the unique style of rituals that take place here where priests are not allowed and elders run all the errands required. If you’re planning a destination wedding, you can actually plan the wedding here followed by a luxurious honeymoon as well. It is a place where the flora green gets high and is mixed with the white fogs and colorful flowers. The most enthralling part is that it entices the couples. Coorg is indeed a magical reality for the couples and back when the British in India were Scots, they have found similarities between the landscape of Scotland and Coorg given the greenery, hilly terrains and as well as the climate. 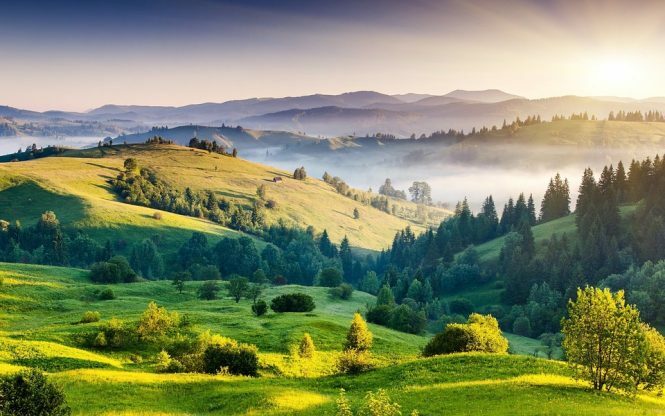 This serene valley with a height that almost touches the sky and a low that reaches the bottom of the earth is worth visiting for your honeymoon. Distance from Airport: 115.0 KM from Visakhapatnam Airport. Best Time to Visit: December-February. 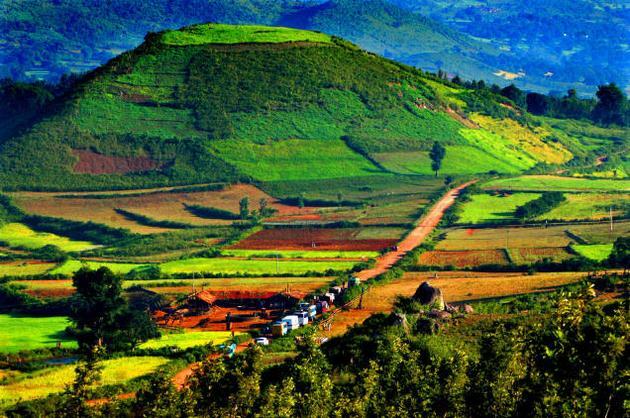 How much Time to Spend: You can spend around 3 days and go around Araku to get the best time on your Honeymoon. Places to Visit: Borra Caves, Ananthagiri, Chaparai, Tribal Museum and Katika Waterfalls. Best Places to Stay: Tribal Cottage, Haritha Valley Resort, and Krishna Tara Comforts. 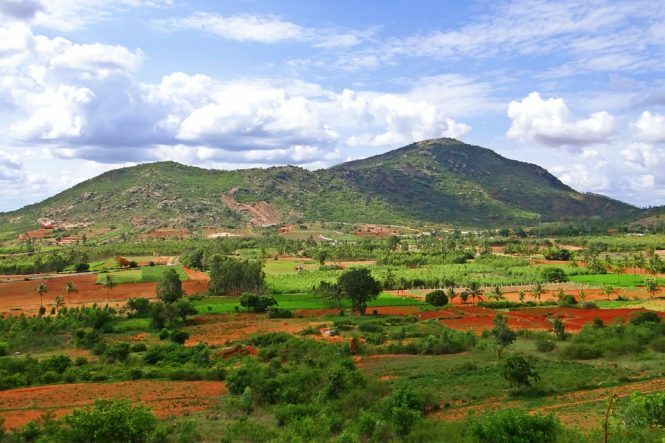 Araku is one of the magnificent and spells bounding locations in Andhra Pradesh. This serene valley among honeymoon places in South India is full of undulating orchards, pompous hills, pristine meadows and all of that add to the pleasant climate which prevails throughout the year. As simple as it seems, Araku is a special place to visit with your partner and if you’re visiting the place, carry all of your picnic items in a box that enhance the pleasure as you unfold the rural side of the place. Visit the tribal museum and buy the old silver from this place to make a sovereign out of it to turn it into a memory. Titled as the ‘Hills of Happiness’ by people who went there, this is a nest for the lovebirds. Distance from Airport: 37.0 KM from Kempegowda International Airport. Best Time to Visit: March-May, September-February. How much Time to Spend: A trip of 3-4 days will be sufficient if you’re planning a trek. Best Places to Stay: Hotel Mayura Pinetop, Nehru Nilaya, and Discovery Village Nandi Foot Hills. Nandi has many legends and myths linked to its name. It is very near to Bangalore and therefore, you can even plan a one day trip from Bangalore as well and the place will definitely ignite the spark in anyone’s life. The place is filled with forts, viewpoints and as well as many temples with historical value located on the hillock which is 4700 ft above the sea level. The beauty of this place among the honeymoon places in South India lies in the sunrise and therefore one should not miss it at any cost given the calmness and the composure the place has. 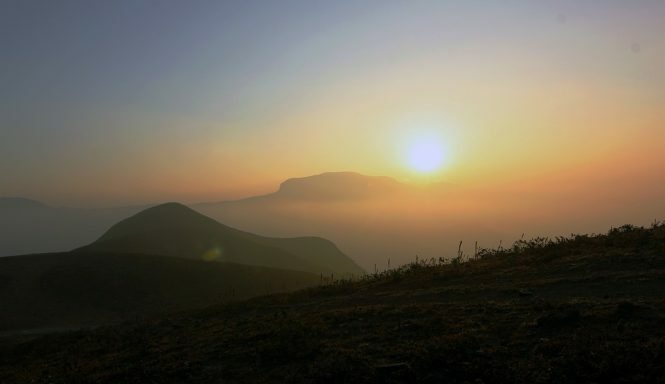 Known as the Golden Peak of Kerala, this place is one of the top honeymoon places in South India. Distance from Airport: 55.1 KM from Trivandrum Airport. Best Time to Visit: December-March. How much Time to Spend: You can spend a weekend here given you want to visit all the attractions. Places to Visit: Meenmutty Falls, Ponmudi Hill Station and Mankayam Waterfalls. Best Places to Stay: Golden Peak Resort, River County Resort. Ponmudi consists of twisted trails, tea estates and mountains full of butterflies. It is one of those honeymoon places in South India that you should jolt as your honeymoon destination. The landscape is thrilling and is filled with dense forests, trekking trails, and waterfalls. The honeymoon is the best time to spend in Ponmudi as the newlyweds will get time to know each other during this period. The place is prominent for secret meetings, night talks and if you have got hitched, you can spend your holidays in South India where things seem special. That being said, if you have actually decided on the Indian romance and are stuck to the honeymoon in the country, well these honeymoon places in South India are nothing less than traveling out of the country. Instead of fretting over them, go through the list of choices and choose the best which will kick the wanderlust out of you and your partner. Narrow the choices based on the distance, budget and available time and turn your honeymoon into a euphoriant affair. All of these trips and affordable and therefore you don’t have to worry about them being a costly luxury that you can’t bear. Therefore, plan wisely and spend the best days in your life qualitatively with each other. 1. How exactly should I be choosing the destination? Before going through the options, it is recommended that you make a questionnaire for your honeymoon or ask each other what their vision of honeymoon is like. This gives you a picture of what each of you is expecting from the honeymoon. Given, start researching which option is close to you and select it wisely. 2. How do we handle the loss of passports? Well, in case if you have lost the passport during your trip to honeymoon, you can either lodge an official police complaint with all your details or call the embassy to seek the help. 3. What clothes to wear during the honeymoon? Depending on the season that you’ve decided to visit the above-listed places, you can go with either warm/light clothing. However, as it is your honeymoon, make sure you carry things that can spice your life up. 4. Is it possible to visit these places in groups? Definitely yes. You can always visit these places in groups of two and you can as well find some interesting holidays packages layered which will help you in having an affordable trip. Marriages may be made in heaven but the honeymoon can certainly be made sensuous and memorable here on earth itself. We have compiled an extensive list of the best Honeymoon places in South India that have it all.